New and recent interviews with Doug. Here’s a new interview with Doug, posted at Cryptic Rock on November 14. 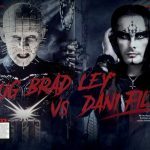 What’s the connection between Norman Wisdom (‘Who the heck is that?’ ask Americans) and Pinhead? Find out here. 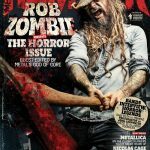 The November issue of Metal Hammer was guest-edited by Rob Zombie and featured a number of horror celebrities, including John Carpenter and Alice Cooper, being interviewed by metal stars. Doug was delighted to be asked to participate, and equally delighted to be re-united with Cradle Of Filth‘s Dani Filth (albeit only by Skype across the Atlantic).